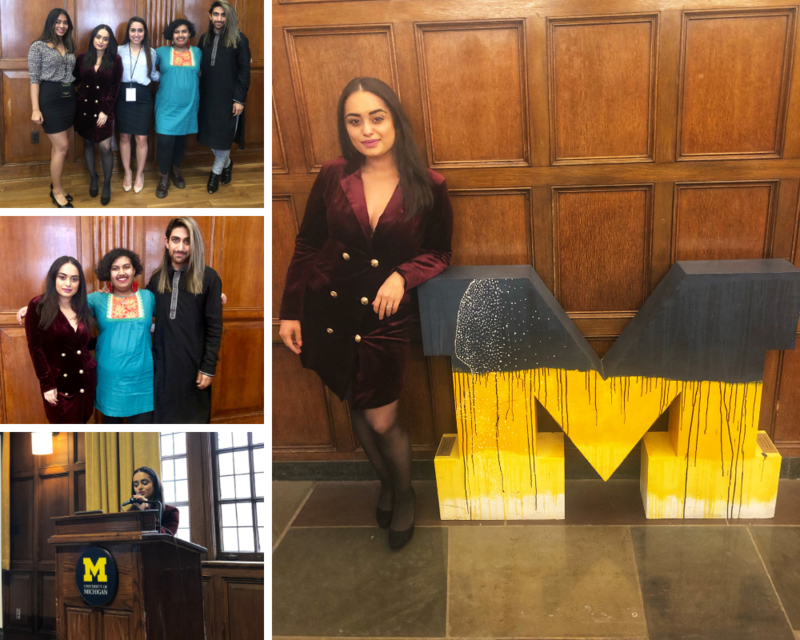 The following post is Brown Girl Magazine’s CEO Trisha Sakhuja-Walia’s opening keynote from Michigan University’s 17th annual South Asian Awareness Network’s conference, titled “Shifting Sands: Amplifying Stories to Create a New Narrative,” which recently took place on January 19, 2019. This year’s goal was to encourage attendees to open their minds to stories that are currently being told but aren’t necessarily part of the mainstream dialogue. Additionally, they intended to create a new narrative and invite others to partake in a space of dialogue where often marginalized voices are welcomed and celebrated with the intention of creating meaningful and sustainable social change. “Good morning, friends! Thank you for having me at this year’s 17th annual SAAN conference. Grateful for the opportunity and visibility. I had a chance to interact with a few folks on the 20-person board last night and learned quite a bit about the college community and the various South Asian organizations on campus, which I am always intrigued to learn because I was preoccupied co-hosting lots of social events during my time at Stony Brook University in Long Island, New York through the South Asian Student Alliance and Greek life so I am genuinely excited to see a long-standing South Asian org primarily focused on pushing the envelope to discuss topics of social justice. Kudos to the work y’all are doing and I look forward to being a part of it today and beyond. So, I wish I could say I am going to keep this short and sweet but the folks at SAAN have requested I talk at length so I will be leaning on yall to chime in from time to time so it’s not just me doing all the work…haha. Here we go. The beauty of our generation — in my opinion — is digital storytelling. A good story — according to Reid Hoffman’s podcast ‘Masters of Scale’ — draws you in, a better one puts you in their shoes, but a great one makes you feel their pain while giving you hope. But don’t be fooled when I say storytelling is a published link on a reputable website with your byline. Storytelling, as we know it today, is a 140-character Tweet that packs a punch, an Instagram photo that sparks engagement (and many times unsolicited hate), or a meme that sees the likes our grandparents and our too-young-to-be-on-the-internet nieces and nephews. And what’s the motive behind telling a story? 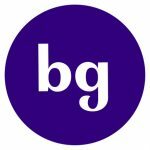 It’s to pass it on, to have dialogue and make that dialogue easily accessible to all people and their communities, and that’s why we at Brown Girl are obsessively dedicated to documenting our stories for tomorrow’s generation. I am Trisha Sakhuja-Walia, the CEO and Co-founder of Brown Girl Magazine, where we pride ourselves on having accessible, tangible conversations in the form of storytelling to build sustainable communities. Brown Girl Magazine has been an anchor and staple in the community for almost a decade now, we’ve focused all of our energy on being a safe haven where stories have been told and retold in various ways — to be exact we’ve published more than 4,000 original stories to the website since October of 2008, which has seen more 5 million readers across the USA, Canada, the United Kingdom, almost every country in South East Asia — India and Pakistan being the biggest drivers, and South Africa just to name a few. We’ve tried our best to chronicle almost everything that’s happened in the desi diaspora. From stories of immigration pre and post 9/11, the struggles of learning a new way of life in a foreign land, the shame we face when speaking our mother tongue, letting go of a stable career to pursue a creative passion, the stigma surrounding honor killings and domestic violence, mental health and the stigma we face for even mentioning the word therapist at a desi part, a woman’s body and her inherent rights she continuously has to fight for, dating a boy outside of one’s religious beliefs, sharing the intimate details of coming out to our parents, the spillover of Bollywood in our everyday lives as desi Americans, the emergence of brown faces in media and entertainment, and course, much timely coverage of living in Trump’s era and the injustices we’ve faced since his reign. You name it and we’ve covered it. To the extent that sometimes I forget to Google search a topic but instead, I will just search it directly on our homepage’s search bar — you should try and you’ll be amazed at what you find. But are these stories enough? Do they truly encapsulate our community? Are we doing enough to tell our truth? To shed light on our struggles? To bridge the gap between us and those back home. To give space to every South Asian living in the diaspora? And the biggest question I ask myself (literally) almost every day is, are we doing enough to advocate for our people — beyond the desi community, but people of color, queer and trans people, people with disabilities and those who don’t have the privilege to Tweet their thoughts or Instastory their day. These are just some of the questions I repeatedly ask myself about our ever-evolving content strategy. And I am constantly shrouded with the thought of — will it ever be enough? I personally can’t ever remember a time it ever was. And that’s my biggest driver in doing what we’re doing at Brown Girl. It’s the constant need to hunt for that next story and actively spark user engagement. Our people have too much depth, history, culture, and nuance for it to ever be enough. And that’s why, almost 10 years post Brown Girl’s existence, I stand here today in front of you all with one notion in mind: no matter how far we’ve come as desi people living in the diaspora, no matter how many times we’ve told our story, we will always be in the pursuit of storytelling. And this brings me to my next point in today’s talk. That is assuming you’re all still awake and listening? So, from storytelling comes the art of representation. We hear the term quote on quote representation matters quite a lot on social media and trending headlines. But what does representation look like? We’ve grown up hearing America is a mixed pot of cultures and backgrounds but how true is that, really? During my elementary school days (you know, back in the day, during the stone age), they thought since I was Indian, I was Native American, and kids would actually asked me what tribe I belonged to. And this story is not an isolated incident. I am assuming it’s happened to at least some folks in this room. Only in the past few years are we witnessing a revolution of this so-called mixed pot of cultures and backgrounds coming together — albeit to fight against the one who must not be named and likes to eat hamberders…but at least now we can safely it’s happening rampantly. Before this, we were all just a mixed fruit bowl, colorful and pretty in our own right but never seen as on one. I recently shared a tidbit on Brown Girl’s Instagram in response to the trending 10-year challenge that briefly summarizes the need for our birth and how it led to representation. Brown Girl Magazine, circa ‘08-09: the beginnings of it all. Aditi Mehta, a University of Texas at Austin alum, felt a void in the entertainment, media landscape and more so in her immediate community, in which she barely ever saw women who looked like her. This is before we were fans of Mindy Kaling, Superwoman, Rupi Kaur, Jus Reign, or felt a type of way about Apu, and this is definitely well before womxn of our color were even considered for brand campaigns, front covers of magazines, tv shows and movies. She wanted to give space to brown people like you and us, so what formed organically 10 years later is an amalgamation of a beautiful community of people from countless South Asian backgrounds, sexualities, cultures, religions and backgrounds. We’re grateful to have been on this ride for the past decade and surprisingly enough, everything around us has changed, but Aditi’s initial goal stays intact. The following excerpt, which I am going to read is from Aditi founding note, written in October 2008. And since then we’ve played a small role in how the South Asian diaspora sees themselves in media. Which is the most important aspect of WHY representation matters. Representation is more than us seeing ourselves on television and in movies or on gigantic ad campaigns and billboards because it looks cool and gives us bragging rights. Representation matters because it directly impacts how minority communities see themselves and how others in society see them. Research shows communities that see negative media attention see less attention from doctors to harsher sentencing by judges, lower likelihood of being hired for a job or admitted to school, lower odds of getting loans, and a higher likelihood of being shot by police. The record-breaking response at the box office to films like Crazy Rich Asians and Black Panther, not to mention the surrounding social media flurry and subsequent think pieces, reveal just how hungry audiences are for stories that center those who are sorely underrepresented in mass media. We’ve seen representation mattering time and time again, there are so many examples I can shed a positive light on, which is something I don’t take lightly and feel very privileged to do so. But before I dive into some of the more positive ones I want to acknowledge that now finally we’re in a time where doing something cool or out of the ordinary just because you’re South Asian or brown doesn’t mean its always going to be seen in a positive light, meaning, your actions speak for themselves and the color of your skin and cultural affiliation can only do so much. So it doesn’t matter if Aziz Ansari made Netflix’s Master of None or if Bobby Jindal became a common household name. Just because you look like us doesn’t mean you’re doing it right. Acknowledging the good with the not so good is just as important — and it acts as a constant reminder to check ourselves. Because of Brown Girl, I am so wired to think of both sides of the coin. I will always first consider what the trolls on social media would say and react. But I digress. I think for me personally, one of the earliest and most positive memories of positive representation I’ve seen for our people is Kal Penn in Harold and Kumar go to White Castle, which released in 2004. I was a 14-year-old sophomore in high school, who had co-founded the first-ever desi club at the time and saw a lot of heat for it throughout my tenure, so seeing this film, and Kumar being played in a positive light was a BIG deal at the time, and still definitely is. More recently, I was most pleasantly surprised and happy to see a huge billboard ad at Times Square featuring an Indian American actor and model, Pritam Singh, 74, with a turban and beard, as a promotional for Dollar Shave Club, a California-based company selling hair grooming, trimming, and maintenance products. So here’s a company that’s built on shaving but somehow reversed its marketing for its new beard oil product to include a man who doesn’t shave…now that’s brilliant and hella inclusive. The tagline to the ad, ‘Beard Oil Because for Some People Beards are Religion’, makes it apparent that it’s squarely aimed at religious minorities like the Sikh and Muslim communities. And the coolest part? I saw it with my own eyes the day we shared the post on our social media feeds and was in awe. I couldn’t even take my phone out to capture it for myself. I was just staring up at the billboard like a total tourist, smiling from ear to ear, thinking about every single Punjabi-Sikh uncleI’vee encountered working harder than ever at gas stations, cabs, 711s, and corner dels. This moment for them must be so empowering, others can see them how they see themselves. Now let’s talk Anik Khan, a Bangladeshi-American hip-hop artist from Queens, New York is making waves with his consecutive hits since 2017 about the struggles of starting with humble beginnings as an immigrant from Dhaka. The line that would put him on the map and also on a billboard in Times Square in late 2018 was, “Damn it feels good to be an immigrant.” Making immigrants cool again in the day and age we live in is a lot more than you can ask for. Of course, it would be remiss if I didn’t speak on the recent battle we (and yes, I use the word we collectively because I feel like we truly made it when it comes to a sense of belonging and representation here) aka Hari Kondabolu fought for all of us against The Simpsons. Hari’s documentar The Problem with Apu tries to make sense of a cartoon character. But the core quest of the documentary was getting answers from the voice of Apu himself: Hank Azaria. He interviewed notable desi leaders, actors, and comedians, from the former Surgeon General Vivek Murthy to Kal Penn, on the consequences of Apu. All who were interviewed shared various tales of bullying and teasing due to this character. From random people mimicking the popular phrase “Thank you come again” in a horrendous accent, to just being called Apu, it is clear the emotional scars are still present in all of us. that came to define the stereotype of being desi in this country, and how it affected his life personally. “The idea that anybody, young or old, past or present, was bullied, or teased, or worse based on the character of Apu on ‘The Simpsons,’ or the voice or any other tropes of the character is distressing, especially in post-9/11 America.” However, what sucked post-Hari’s controversial documentary was The Simpson’s response. Who here has seen it?! In the episode, Marge reads Lisa her “favorite book ever,” which features racial stereotyping. She looks to Lisa for advice on how to update the book, The Princess in the Garden, to make it less controversial and politically acceptable. Lisa, however, tells her mother that there is no point in rewriting the fictional book. “Something that started decades ago and was applauded and inoffensive is now politically incorrect. What can you do?” The camera then focuses on a framed photo of Apu on her nightstand, with the words, “Don’t have a cow. Apu,” signed on them. Let’s watch the trailer, shall we?! And representation that is soon to come to the big screen is going to every little girl and boy’s favorite. In late November, Disney announced a new show for their junior network, slated for release in 2020. The show is called Mira, Royal Detective and is about the adventures of a smart young girl named Mira in the kingdom of Jalpur. Though a commoner, her ability to solve mysteries for both members of the royal household and common people in the kingdom has earned her the title of Royal Detective. Each episode will feature two 11-minute stories about Mira and her merry band of mates. The show also features “authentic music, dance, and customs that are rooted in India’s vibrant heritage.” (I hope they remain true to the word “authentic” because last time I checked that Diwali episode in Fuller House, those dance moves and set-up was anything BUT authentic. So, I’ve recounted a few very recent and poginant examples in media and entertainment of what present day representation looks like but I’ve BARELY touched the surface. I mean, we’re producing so much content at Brown Girl that focuses directly on representation across the board that sometimes it feels like we’re moving faster than ever imagined. So, the question I started off with stands alongside me always like the white elephant in the room. Are we doing enough to document and narrate our stories? What type of example and narrative are we setting for our kids? What do I want to pass on to my kids who will be first gen Indian-Americans? Sometimes the influx of information causes us to feel drowned in our own stories, but how often do we hear the narrative of other communities and keep listening? Almost always. We listen because we can relate. 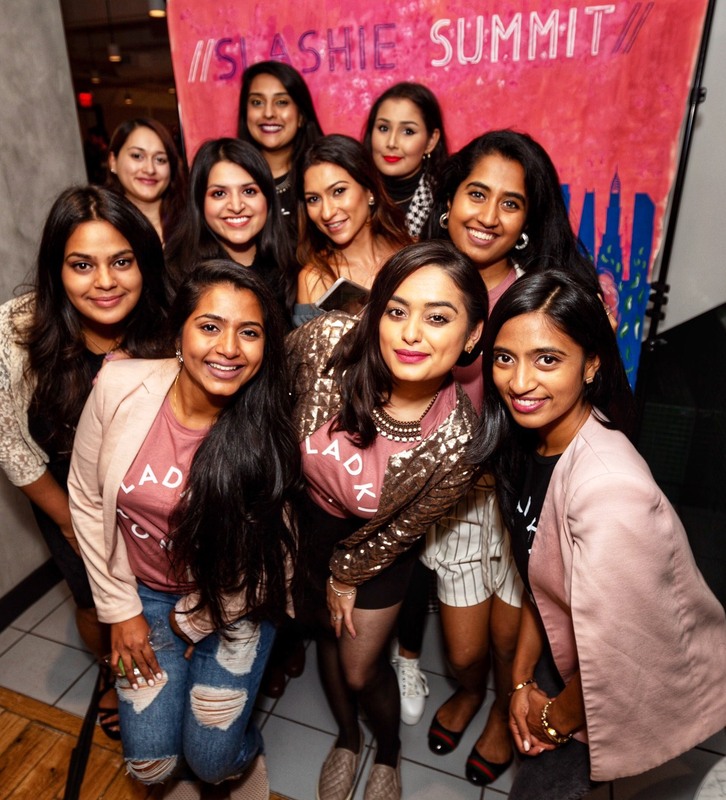 As the South Asian diaspora grows in all fields of entertainment, tech, politics, activism, literature and news, it is vital that we engage with our communities to encourage the sharing of our stories continues in more inclusive, mainstream settings. Thanks to women and leaders in the industry like Nabela, Superwoman, Padma Lakshmi, Mindy Kaling and Rupi Kaur for becoming the original gatekpeers of our stories, but we need more dimension, more voices, more faces. We need you. Become a storyteller. Not just once or twice but make it consistent. Real representation equals multiple power players, so we don’t need just one brown person in a show — fight to become that second brown person the show. And on that note, friends I will take your leave and hope I’ve done some justice to today’s discussion at hand. I am eager to become better acquainted with you all because that’s what I thrive on — tons of young brown folks wanting to make a difference in their communities before making it in the world. I am a big believer in seeing not what your potential is today but what your potential can be a decade from now, so if you feel like that you havent done enough to make a mark in our community or arent doing enough, just consider what you’ll accomplish just a few years from now. Before I conclude, I would like to say that I am honored to be here today amongst other reputable speakers and activists such as Alicia Virani, Jordan Alam, Hiba Khan, Amit Patel, Tanzin Daniels, and the folks from the South Asian Sexual and Mental Health Alliance. I look forward to having one on one time with you all.